Travel high over world famous theme parks. For Disney fanatics and those wanting a helicopter tour of Orlando. Travel high over world famous theme parks. 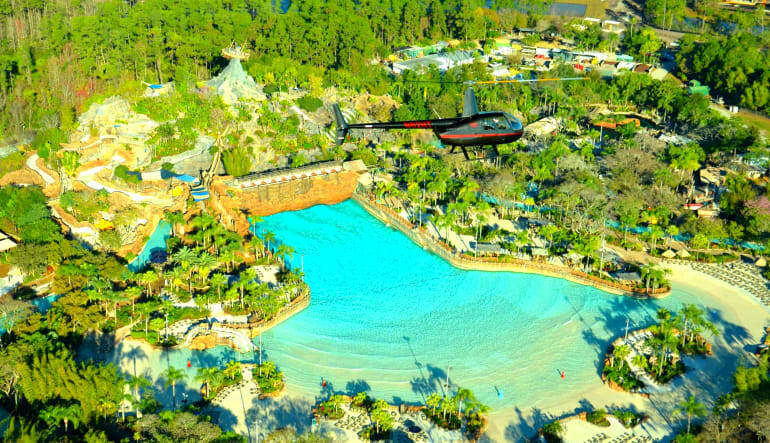 For Disney fanatics and those wanting a helicopter tour of Orlando, this 8-minute tour will get you up in the air. 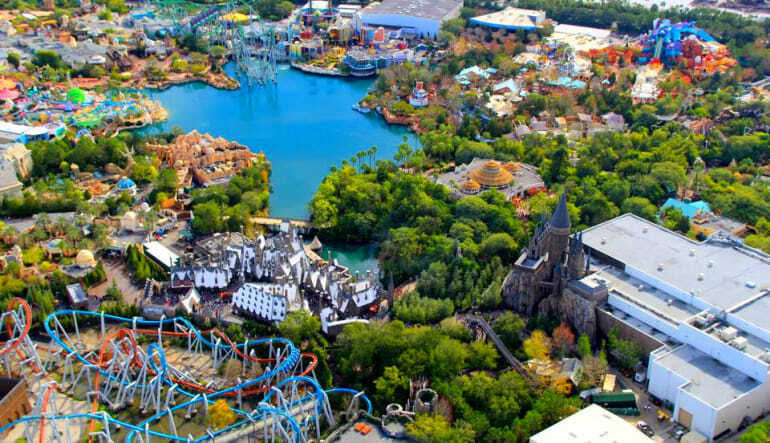 There is no comparison to seeing the layout of world-famous theme parks from overhead. You truly capture the individual feelings and atmosphere that each area aims to recreate. 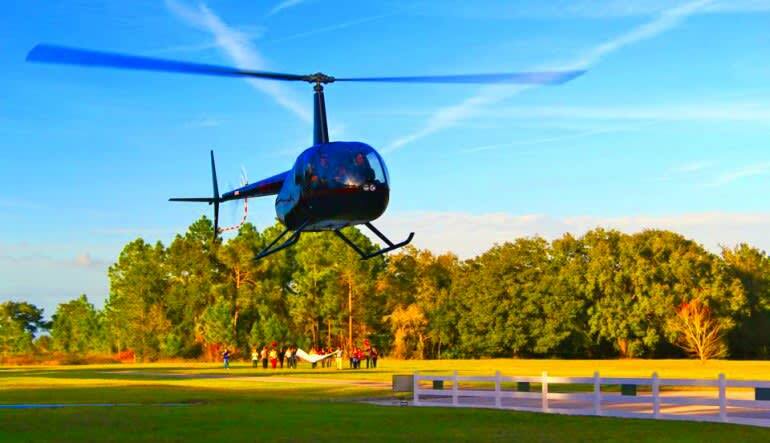 A helicopter ride in an R44 brings you there to see the real thing - Walt Disney World! Tours are available for parties of up to 4 people. 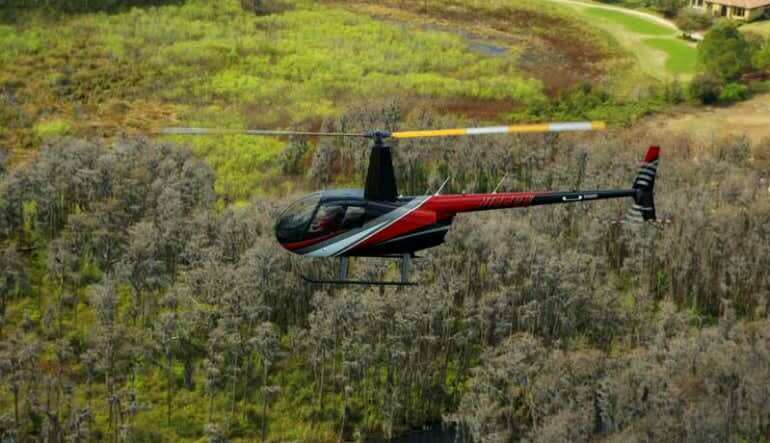 For a quick helicopter tour of Orlando, book this tour and see the sights from above. The helicopter ride was for both of us totally awesome. We intend to make it an annual event, making longer trips each year. Pilot and staff were the greatest. We can't stop talking and telling everyone about it. Pictures were an added bonus. So glad you had that option available. My grandson, who is 3, has been fascinated with helicopters for months and wanted to ride. So I went on line and found your site. I called to verify he could ride and then booked it. He loved it and now he can't wait to go back and ride again.